Donating to charity is indeed a very nobel gesture. There are many people who often open their wardrobes and pockets when their fellow citizens are in trouble. However, the problem is many volunteer organizations and crisis management groups lies in the fact that they find it utterly difficult to actually sort things as so many items arrive for donation. Most organisations do not have the man power or the resources to sort items and group them depending on their cleanliness, usage and seasonal requirement. It is a big problem to store out of seasons cloths in such huge numbers for months together. If you are really interested in making a valuable contribution in terms of cloths and other materials, it is important that you follow the procedure given below. 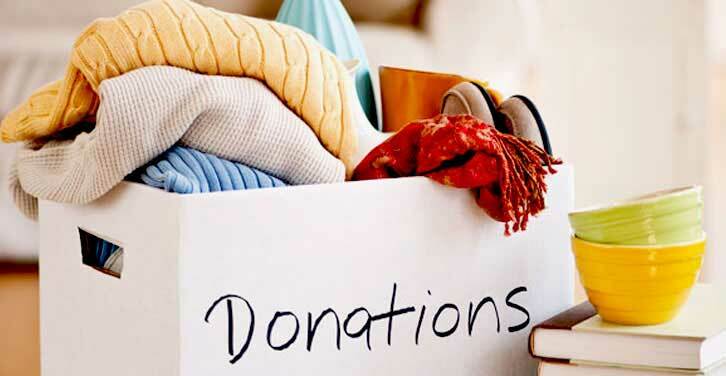 Before you start packing your stuff for donation, it is important that you visit the agency or call them and enquire about their exact requirements. This will give you a good idea about the exact requirement which will make both your and their work a lot easier. If you plan to donate fabric items like bedding, cloths or linen, make sure that they are properly washed and cleaned. If they have stains, take the extra effort to ensure that the cloths have no stains or foul smells. Make sure that you check all your clothing items for rips or tears, before donating them. If there is any missing zipper or buttons, make sure you fix them, since most charities do not have the resources to repair them. If you have cloths or towels which are badly stained try giving them to animal shelters instead of some orphanage or relief fund. Before donating anything, make sure you check all the pockets. Quite often people leave behind money, credit card information and even jewellery in the pockets. If you have winter items to donate, wait till the winter months to donate them. Most charitable organisations do not have unlimited storage area. Donating out of season items creates more problem than solving them. Donating undergarments or bathing robes is not a good idea and many organisations simply refuse to accept them. If you are planning to gift shoes, make sure they are in good condition without any holes. Always donate shoes in pair. If you have collected a large quantity of a specific item like coats, bags or children’s clothing, consider separating the donation by size and labelling each container. This will help to save precious volunteer staff hours in many charitable institution.